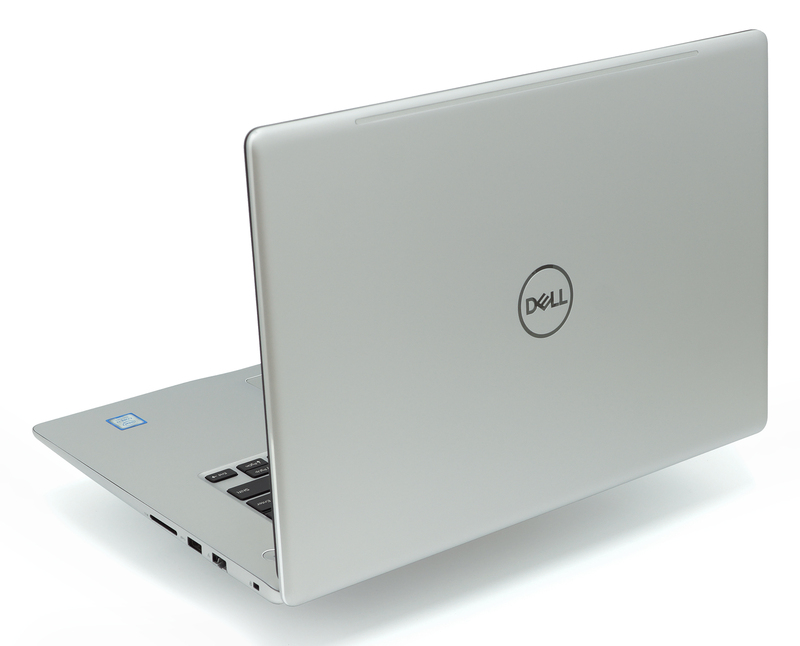 If you are into premium looking multimedia notebooks with a little extra power under the hood, Dell’s got you covered with their latest release in the Inspiron family – the Inspiron 15 7570. Although a bit pricier than some of the alternatives on the market, the laptop leads the pack with several distinctive features like all-aluminum chassis, USB-C supporting (Gen 2) DisplayPort and a Core i7-8550U CPU, which is part of Intel’s latest 8th Generation processors. Other hardware includes an M.2 PCIe NVMe SSD slot in addition to the 2.5-inch HDD bay, 15.6-inch Full HD IPS display and NVIDIA GeForce 940MX discrete GPU sporting 4GB of GDDR5 memory and although the latter will affect overall gaming performance, we still feel like that the newer GeForce MX150 chip would have been a better fit, especially given the price point. Still, there are plenty of other details that the specs sheet can’t disclose like real battery life, image quality of the display etc. Find out in the thorough review below. 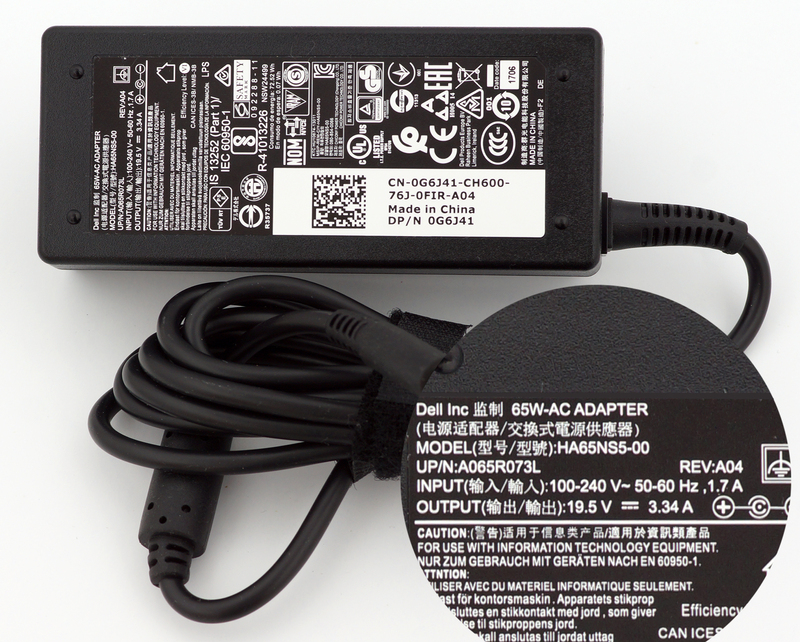 The retail package contains all the usual user manuals, AC adapter, power cord and the laptop itself. 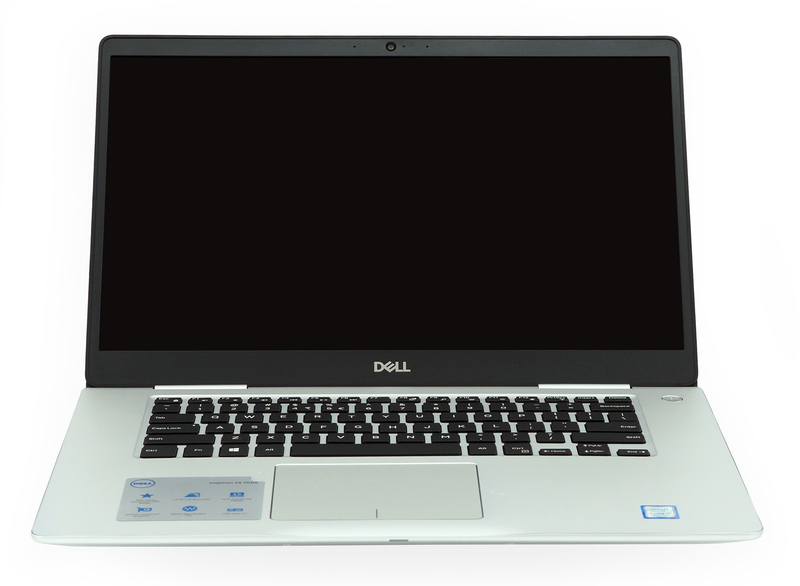 We can’t really see any striking similarities between the Inspiron 7570 and other Dell models but you can definitely guess that this is a Dell-made machine. Aluminum is the main order of the day and the chamfered edges around the lid and touchpad give the device a more sophisticated and premium feel. In terms of portability, though, the notebook doesn’t break any records – it weighs around 2.16 kg, which is fine but not really that impressive. Still, a thickness of 18.8 mm is pretty good. 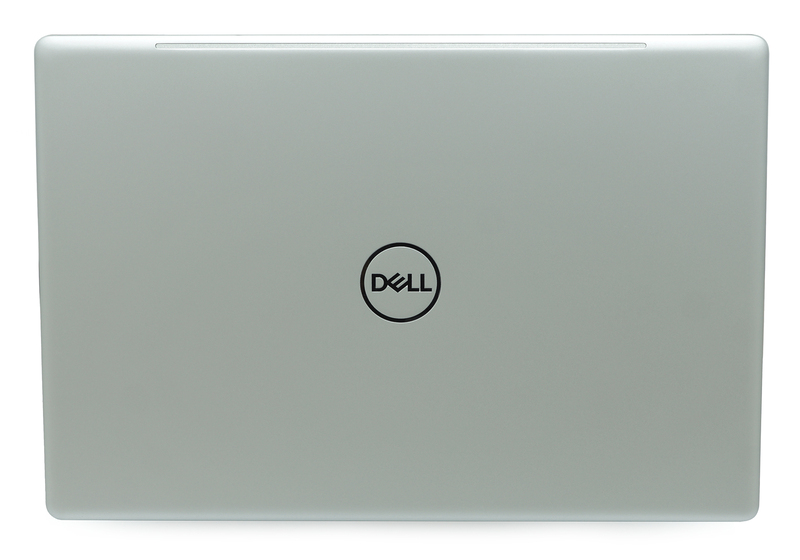 As we’ve already mentioned, the lid comes with anodized aluminum sheet with machined edges and Dell’s logo in the middle. Bending the middle results in slight deformation while our twisting attempts didn’t result in severe flexing – quite the opposite actually. The whole lid feels firm and solid and the same goes for the hinges, although they are way too tight to our taste. In fact they are so tightly pulled that opening the notebook is a challenge and the absence of indentation makes matters worse. On the other hand, the hinges keep the screen firmly in place in unstable environment and allow a 180-degree opening. As for the bottom, it’s made of the same material with a big grill for dispersing the heat and two smaller ones for the loudspeakers. 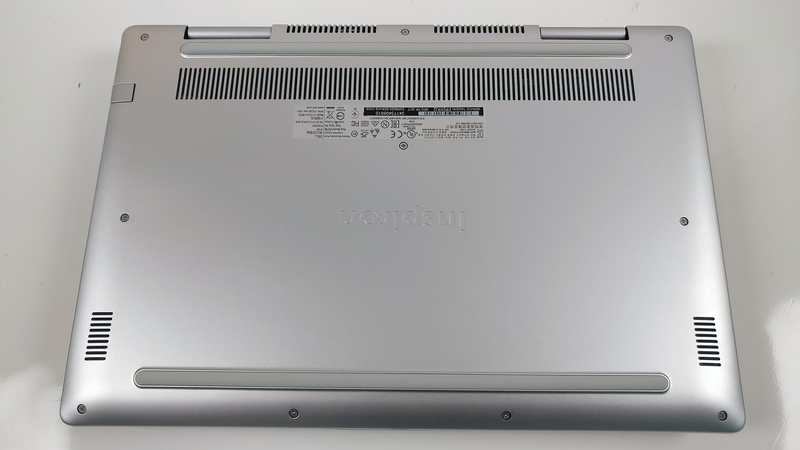 Even though the sides are quite thin, the laptop doesn’t compromise in I/O – the left comes with a USB-C 3.1 Gen 2 connector supporting the DisplayPort standard, a full-sized HDMI, two USB 3.0 ports and a 3.5 audio jack. This means that you can hook up to two external displays at the same time – great for productivity. Switching to the right side, we see the RJ-45 LAN port, another USB 3.0 port and the SD card reader. The port distribution is rather good and cables won’t get in the way while using an external mouse. The interior is in line with the notebook’s exterior and incorporates the same anodized aluminum finish. It feels pretty solid all around the keyboard and the touchpad and the power button is well-separated from the keyboard. Speaking of which, it’s centered and misses on the Numpad block for maximum comfort while typing. 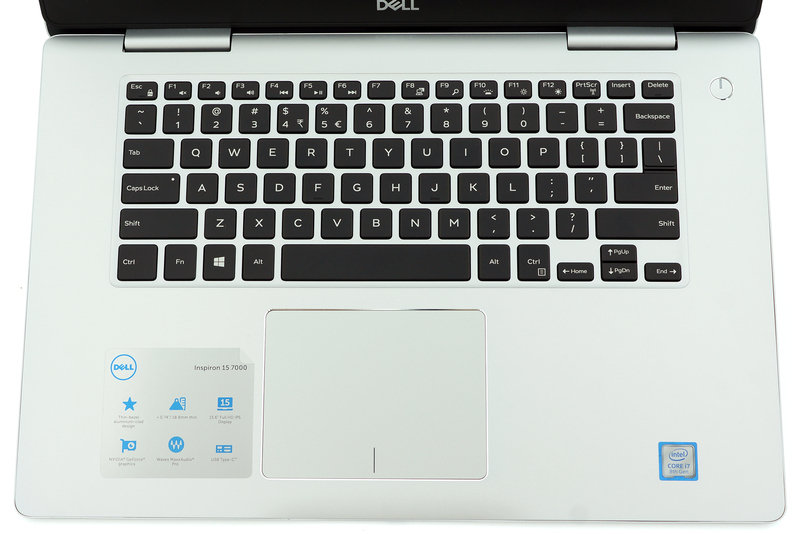 The layout is in typical Dell fashion – island-style keys with plenty of separation, clicky feedback and reasonably long travel. As far as the clickpad is concerned, we have some mixed feelings because we are not quite sure everyone will like it – the surface is slightly roughened instead of smooth gliding-friendly finish and the mouse clicks lack tactile feedback. However, it’s responsive and accurate so it will definitely get the work done on the go. Again, not everyone will like it. All in all, the Inspiron 7570’s chassis justifies the higher price because it offers premium, simplistic and clean look while being extra stable and robust. It might not impress with low weight but it’s pretty thin and falls into the “portable” category for sure. Also, the keyboard feels really good and subjectively, the touchpad is comfortable as well. Still, some users will probably prefer the good old mouse. The bottom is made of a whole piece without any dedicated service covers but it is still super easy to remove and access the internals. 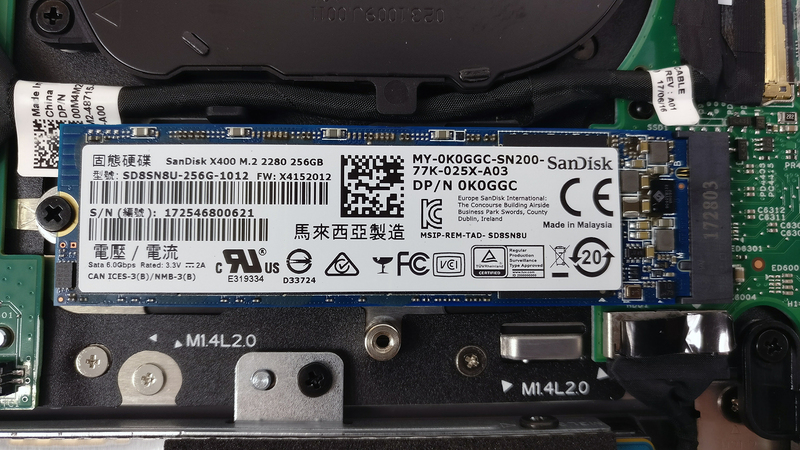 As expected, the laptop comes with an M.2 PCIe NVMe-enabled SSD slot and another 2.5-inch HDD/SSD bay as well. The former also supports Intel’s latest Optane technology if you are on a budget but still want a better HDD performance out of the system. 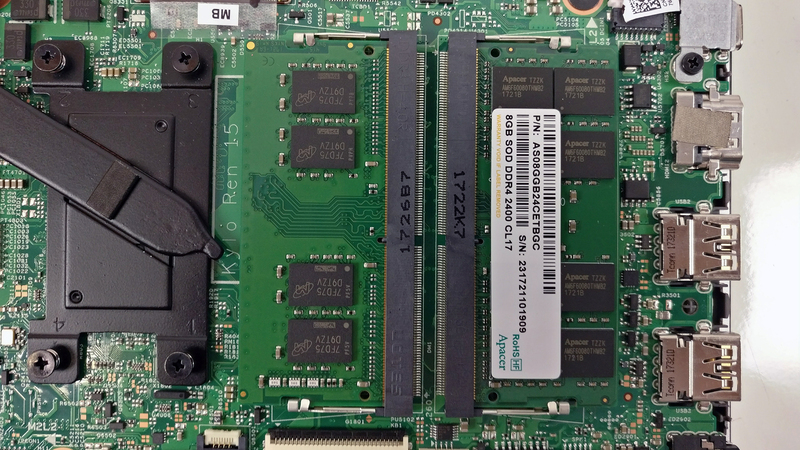 Anyway, the unit we’ve tested came with a 256GB 2280 M.2 SATA SSD from Sandisk from the X400 series. This is rather disappointing since the laptop is in the price range of PCIe NVMe drives. And as for the HDD, it’s Seagate with 1TB capacity and spinning at 5400 rpm. The motherboard comes with two RAM slots and in our case, they are both occupied by two 8GB DDR4-2400 Apacer chips. You can always upgrade up to 32GB of DDR4-2400 memory, though. 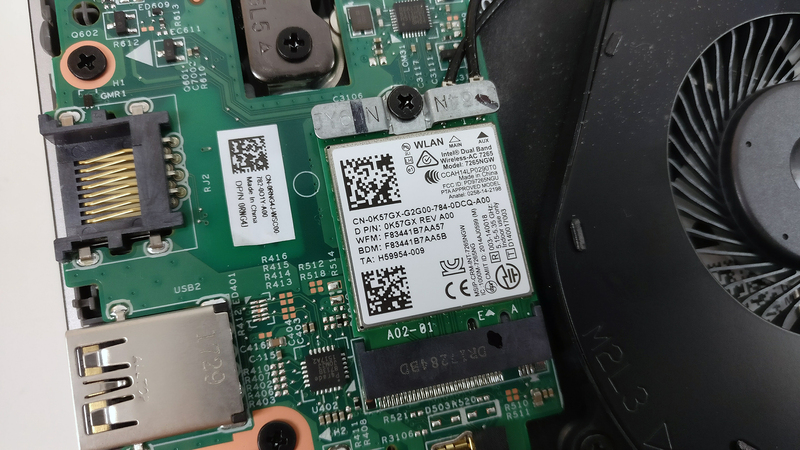 The Wi-Fi card is the commong Intel 7265NGW and it’s placed next to the cooling fan. 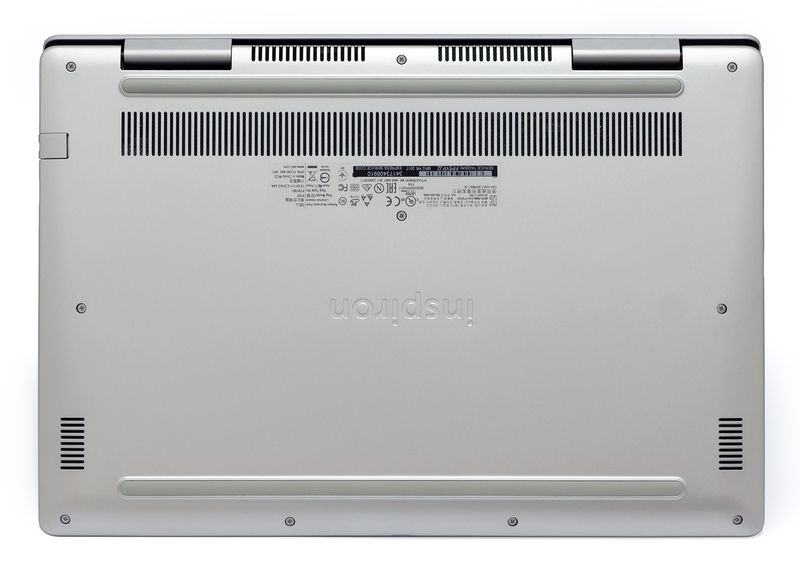 The battery is also in its usual place – under the wrist rest area – and it’s rated at 42Wh. As our stress tests confirmed, the cooling solution doesn’t quite fit the CPU + discrete GPU configuration and some throttling may occur during heavy workloads but most of the time should be fine. 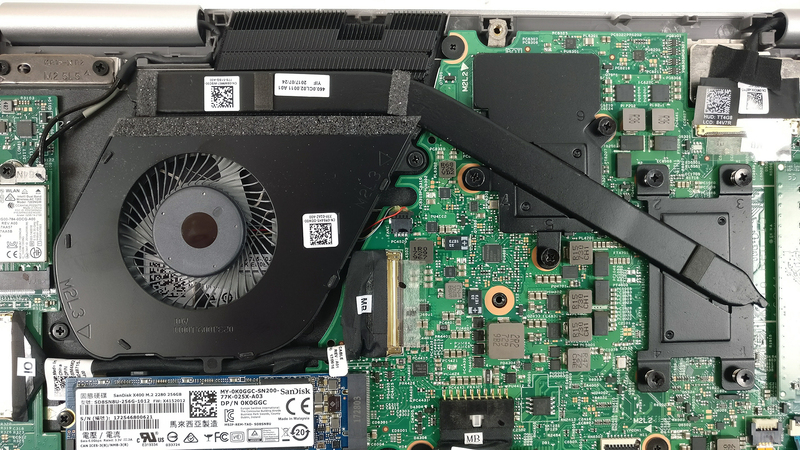 It consists of just one small and short heat pipe going through both heat sinks and connecting to the cooling fan. 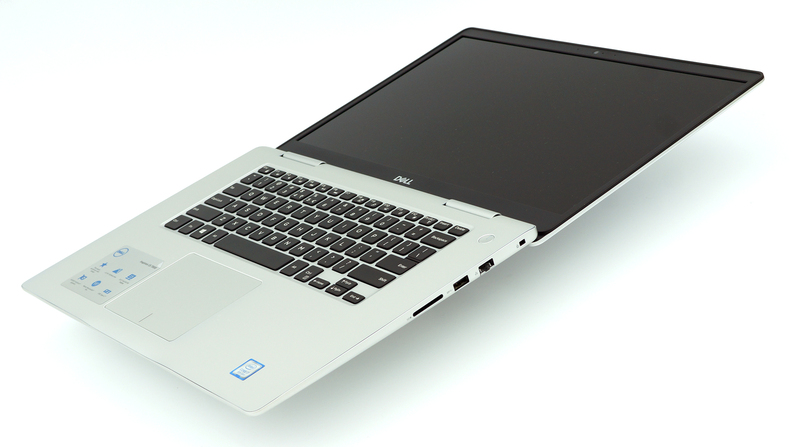 The IPS display used for the notebook is manufactured by BOE with model number BOE06B4 (84V7R NV15N35) with 15.6-inch diagonal, matte finish and Full HD (1920×1080) resolution. The pixel density is 142 ppi while the pixel pitch is 0.18 x 0.18 mm. The screen can be considered as “Retina” when viewed from a distance equal or greater than 60 cm. Viewing angles are good due to the IPS panel. The maximum brightness falls a bit short compared to its competitors – 234 cd/m2 in the middle and 232 cd/m2 as average across the surface with just 6% maximum deviation. The color temperature at maximum brightness is 7070K so colors will appear slightly colder than usual. And as we go along the grayscale, the color temperature becomes even colder compared to the optimal 6500K – 7140K. You can see how these values change at 140 cd/m2 brightness (60%). The maximum color deviation dE2000 is just 1.6 compared to the center of the panel at 140 cd/m2 (60% brightness), which is an excellent result since values above 4.0 are usually unwanted, especially when color-sensitive work is involved. 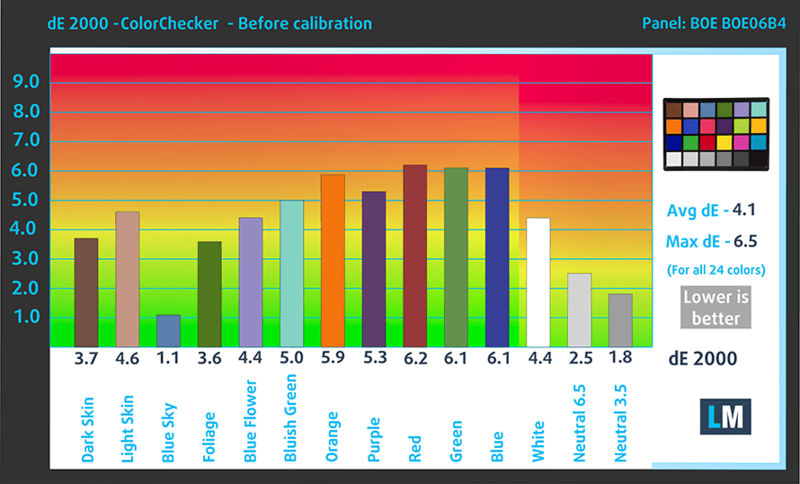 The contrast ratio is exceptionally high – 1370:1 before calibration and 1290:1 after profiling. 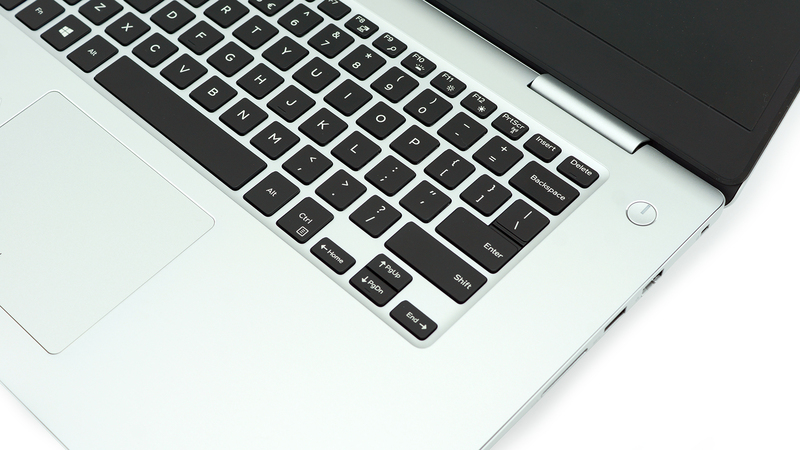 The sRGB coverage is disappointing for a multimedia laptop at this price range – just 53%. Basically, this means that half of the web-based and HDTV colors will be missing. 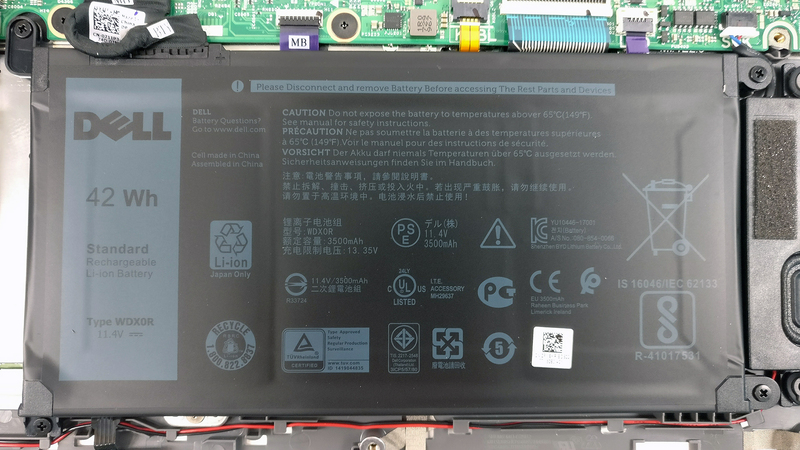 Unfortunately, the panel uses PWM from 0 to 99% screen brightness and the frequency of the light pulsations is pretty low (1 kHz) and falls into the “aggressive PWM” category. We strongly recommend keeping the brightness level at 100% at all times or just use our Health-Guard profile, which takes care of the issue. Our verdict of the panel is rather negative since there are plenty of issues, most of which cannot be fixed with our custom profiles. 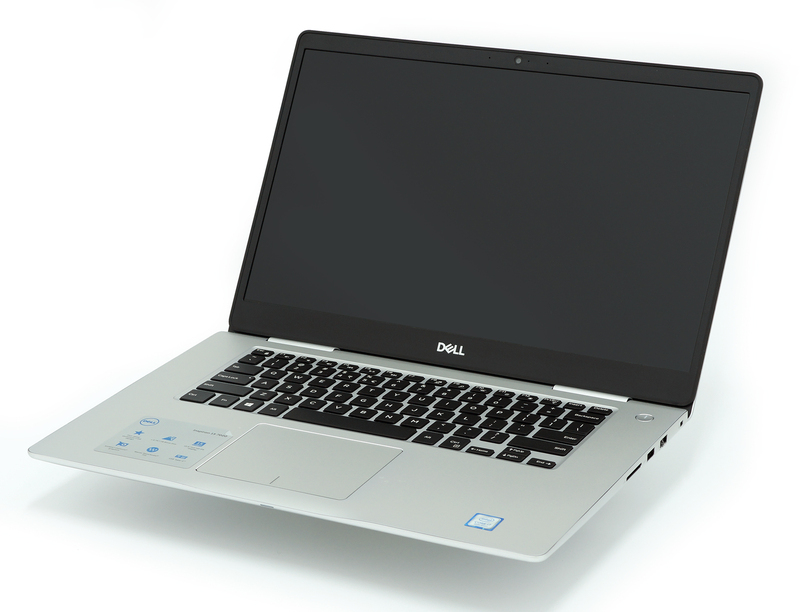 The panel fits more into the budget-friendly category but it’s too “dull” for an upper-mid-range multimedia laptop like the Inspiron 7570. It has pretty high contrast ratio but the rest of the specs set it behind – limited sRGB coverage, low maximum brightness and uses PWM for regulating screen brightness. But at least, the latter can be fixed with our Health-Guard profile. The sound quality is good – the speakers provide clarity in the low, mid and high frequencies. 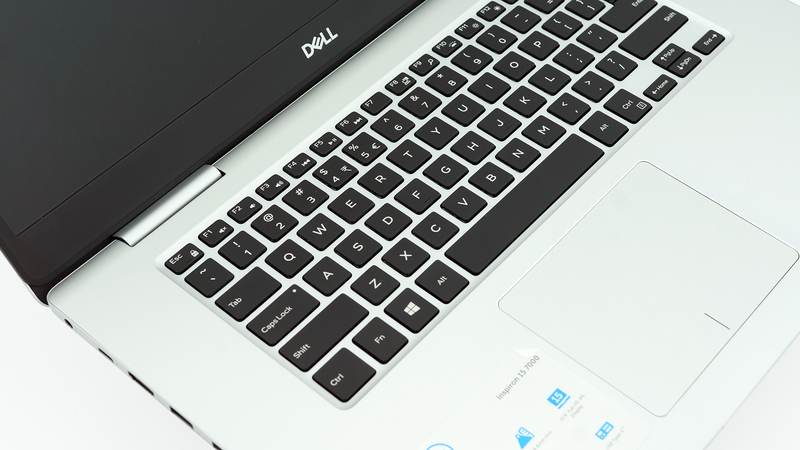 When it comes to battery life, we have some mixed feeling about the Inspiron 7570’s performance. On one hand, the rather small 42Wh handles pretty well the Core i7-8550U CPU during web browsing but fails to deliver the expected video playback runtimes. It might be due to the still unoptimized Intel UHD Graphics 620 drivers or an entirely different problem. In any case, the results are in and they show excellent web browsing runtimes and suboptimal video playback score. All tests were run with the usual settings – Wi-Fi turned on, screen brightness set to 120 cd/m2 and Windows battery saving feature turned on. We got some really good readings on the web browsing test – 534 minutes (8 hours and 54 minutes). The video playback test returned a surprisingly low result – 216 minutes (3 hours and 36 minutes). Of course, the laptop isn’t made for gaming away from the power source but it’s good to know that it can handle heavy workload a little over an hour – 131 minutes (2 hours and 11 minutes). Fritz is a chess benchmark that tests the computing capabilities of the CPU with various chess moves. 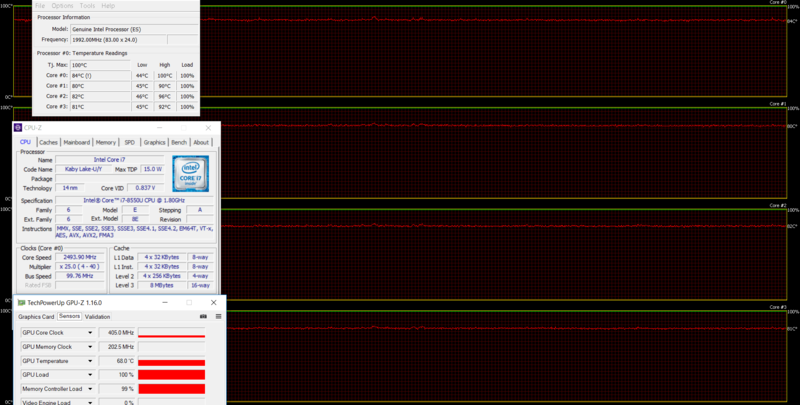 The Intel Core i7-8550U managed to get 12.765 million moves per second. For comparison, one of the most powerful computers, Deep(er) Blue, was able to squeeze out 200 million moves per second. In 1997 Deep(er) Blue even beat the famous Garry Kasparov with 3.5 to 2.5. 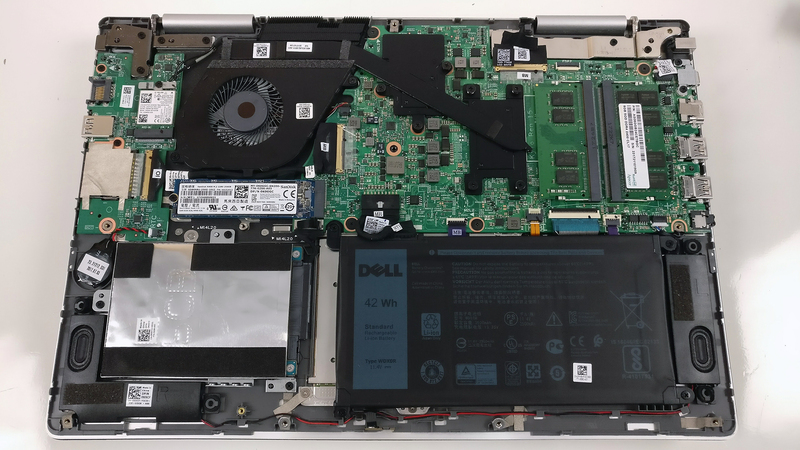 Here you can see an approximate comparison between the GPUs that can be found in the Dell Inspiron 15 7570 models on the market. 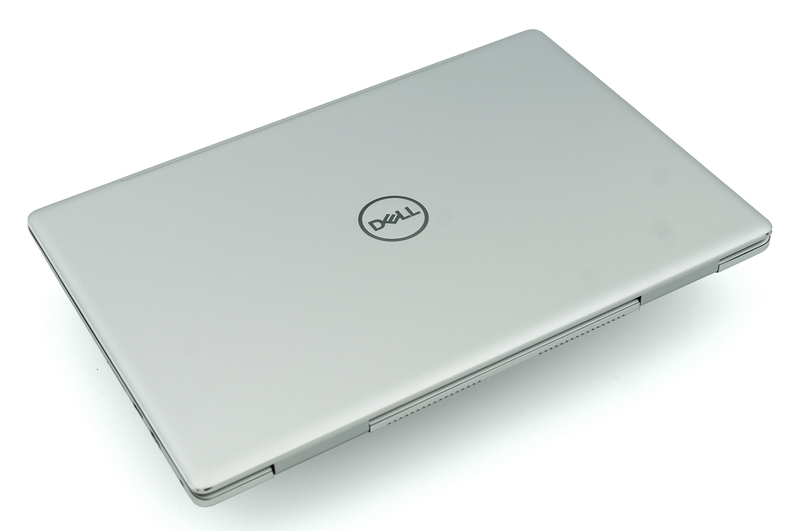 This way you can decide for yourself which Dell Inspiron 15 7570 model is the best bang for your buck. Of course, the stress tests that we perform don’t represent real-life usage but it’s still the best way to determine the overall effectiveness and stability of the cooling system in the long run. Also, it gives us a good idea of how well the system utilizes the hardware’s performance. Starting with the CPU stress testing, the brand new Core i7-8550U ran at 3.5 GHz for a second, then kept it stable at around 3.3 – 3.4 GHz and after a while, it gradually went down to 2.6 – 2.8 GHz while running at a toasty 90-93 °C. Turning on the GPU stress test resulted in immediate GPU throttling – the chip didn’t go above 405 MHz while running relatively cool at 68 °C. 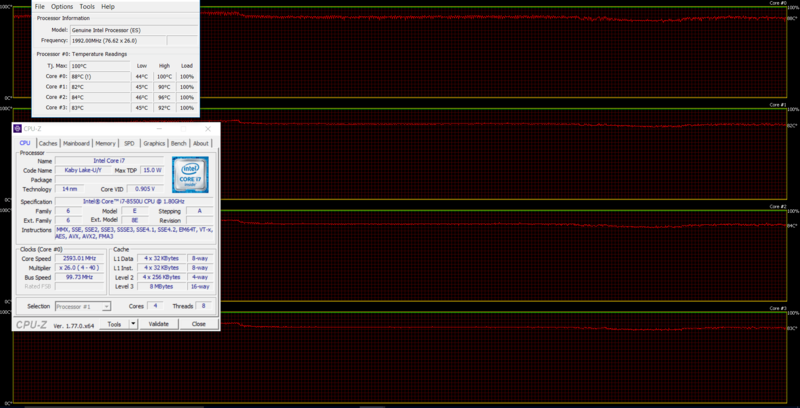 The CPU went down to 2.4 – 2.5 GHz at that point but no throttling occurred. Interestingly, the interior remained cool throughout the stress test and most importantly, the palm rest area stayed frosty. Also, the relatively small battery life delivers good web browsing runtimes probably due to the well-optimized Core i7-8550U chip but we saw suboptimal video playback score and we are unsure of why is that. Still, the performance of the new Core i7-8550U is pretty impressive so we can’t wait to see how the rest of the market adopts the new generation of Intel’s chips. Finally, we want to address the elephant in the room – the screen. Although there’s nothing particularly wrong with the display, except the low-frequency PWM used for regulating brightness, the rest of the properties make it an unfit solution for this price range. 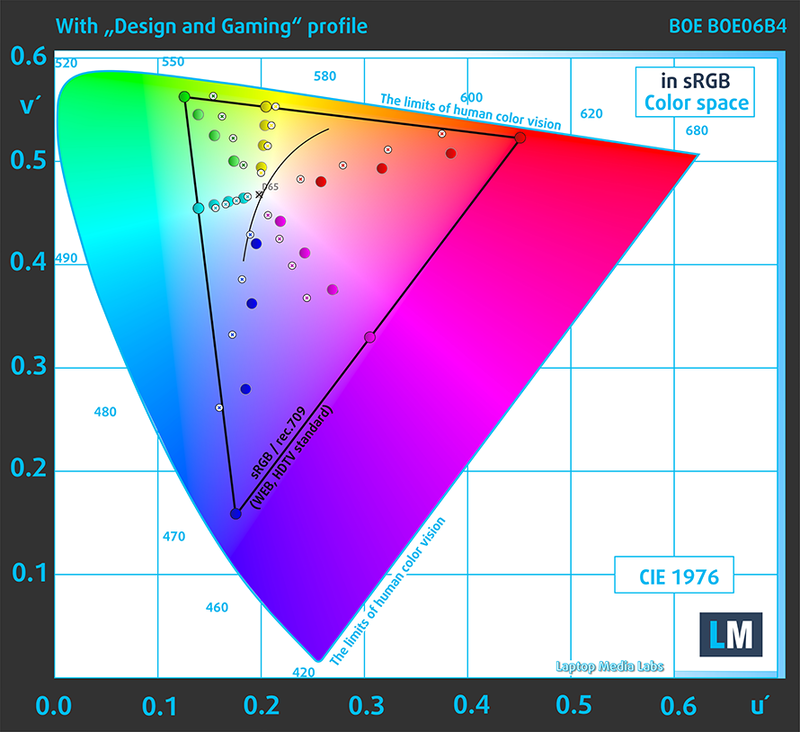 As a multimedia-centric laptop, we expected higher sRGB coverage and higher maximum brightness. In addition, the GeForce 940MX GPU should have been replaced with an MX150 but the latter won’t make such a big difference in the end, on contrary to the display. So unless you are strictly looking for the new generation of Intel’s processors in an elegant package, we strongly recommend the ASUS Vivobook Pro N580VD as an alternative due to its higher performance and better image quality. Other similarly-priced but with 14-inch solutions with better displays are the ASUS ZenBook UX410UQ, Acer’s Swift 5 or the Lenovo Ideapad 720s.